It is worth trying to make a gorgeous golden hill of pancakes! RBTH presents a digest of Russia's most delicious culinary events from March 9-15, 2016. 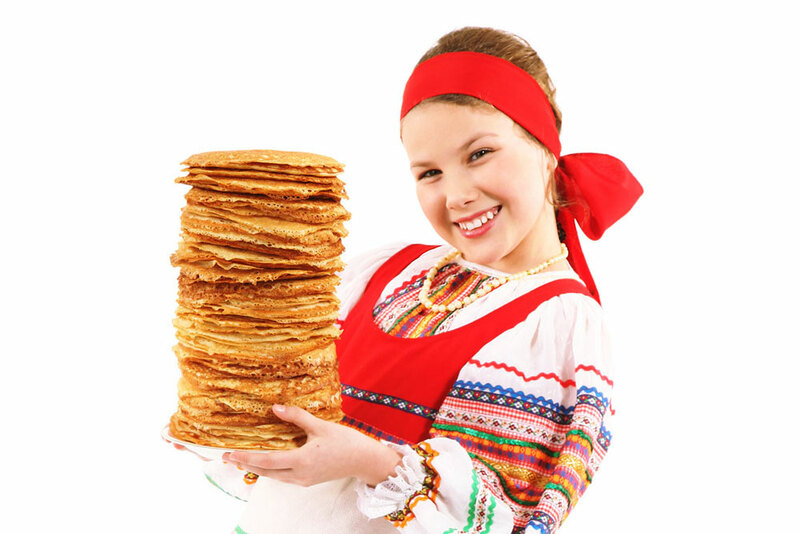 The last day of Maslenitsa week is Shrove Sunday. According to Russian Orthodox tradition, on this day you should ask for forgiveness — and forgive those asking for it. It is considered the first stage of Great Lent, when religious adherents should try to clean both their body and soul. It is also the last opportunity to try delicious and filling pancakes before Great Lent begins. But pancakes aren’t the only thing that people eat on this day: try this substantial dairy dish. As if this was not enough for one day, there’s also the unusual (and bright) pagan ritual of placing the Maslenitsa scarecrow made of straw on a huge bonfire. Burning it symbolizes the farewell to winter. Just because Maslenitsa has religious overtones doesn’t mean that it can’t be competitive. On March 13, 300 liters of sbiten (a hot, honey-based drink) were boiled in the Moscow restaurant Gusyatnikoff. Russian movie stars, public personas and other celebrities participated in the process and everyone agreed that this drink was the perfect choice to kick the winter cold away. And on the same day in the town of Ramenskoe in the Moscow Region a record pancake pile was formed. The final result reached six meters into the sky and featured 1,200 pancakes. A special pancake elevator was needed to make an accurate count. Famous Jewish chef Pinhas Slobodnik has opened his very own culinary school in Moscow (Obraztsova street, 11/2) with an unsurprising accent on kosher food. The school’s aim is not only to teach the art of kosher cooking, but also to explain the unique features of this traditional cuisine. The first class was held on March 10. The Pinhas Company was founded in 2009 and quickly became the main kosher in-flight meal supplier for Russian airlines. The company also runs a café featuring kosher food and desserts at the Moscow Jewish Museum and Tolerance Center.